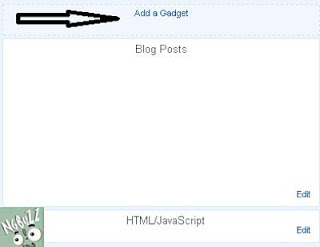 Blogger template Layout view allows you to add Gadgets to the Header, Siderbar and Footer sections of your Blog. It also allows you to rearrange the gadgets positions by dragging and dropping. One section that does not allow the addition of gadgets is the POST BODY section, and this topic will show you how to change that and enable the adding of gadgets to the post Body section of your blog. Before we being any Blogger template Edit, A Back up of your template is Highly recommended (Just in case things go wrong). Better be safe than sorry. - If you don't know how to this - Here's how to backup your Blogger template. Log-in to your Blogger Dashboard and navigate to "Template" Edit HTML Proceed and select the "Expand widget Template" check-box. 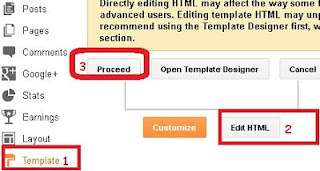 Save your template and checkout the changes in "Layout". You will Notice a New Add Gadget Option has been added to the Post Body section. This was made possible by the showaddelement='yes' and maxwidget='6' part of the code.